When the snow falls, Dowco is the premier choice for snow removal service in Chesterfield, MO. At Dowco Enterprises Inc, we offer complete winter residential and commercial snow removal solutions for our clients to ensure your safety. 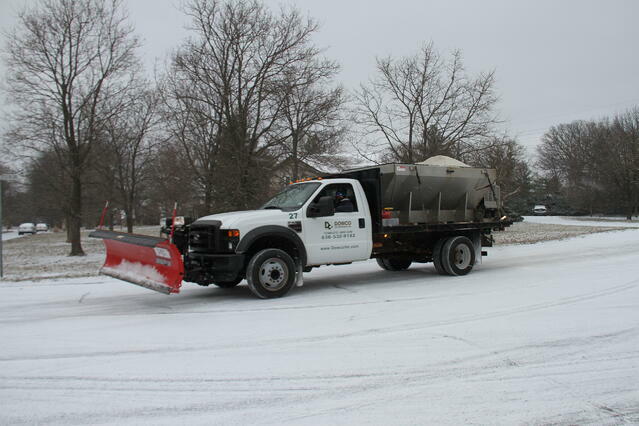 Our services include snow removal, plowing, shoveling, and application of salt or melting agents. Many residential areas that we service include walkways, driveways, and entrances to front and back doors. In larger residential communities such as townhomes, condo or apartment complexes, Dowco uses commercial grade snow plows to remove, haul, and relocate snow. Upon signing up for our service, the Dowco team will check out the location, carefully noting obstacles and other areas that need attention to ensure safety and meeting your expectations. 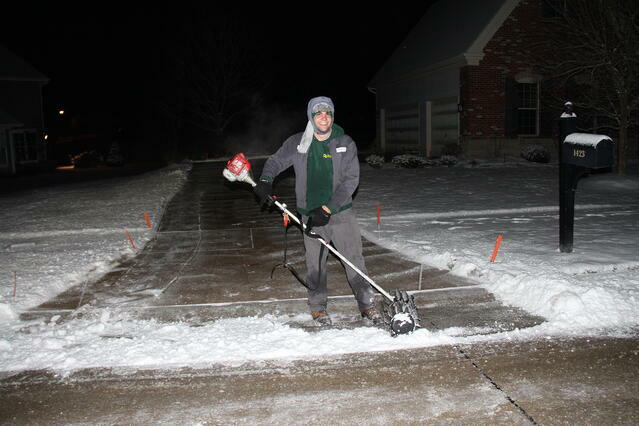 Relax and enjoy snow-free walkways, driveways, and parking areas with Chesterfield’s best snow removal company. We take care of all the tedious tasks for you of snow plowing, snow removal, and ice control, so that you can travel easily and safely. For all of your snow removal and ice management needs call us at (636) 532-9192 or request a quote online! We rely on a 3rd party private weather forecaster, various internet outlets and our many years of experience to determine the best way to treat your property based on current conditions. Emails are sent out prior to events to keep you updated on our course of action. We will treat the streets and pay special attention to high volume traffic areas as well as intersections to melt snow and ice. All corners will be plowed tightly to allow maximum street use and entrances will be cleared. Upon completion of the snow removal event, you will receive a snowfall document that describes the situation, accumulation, and Dowco’s actions. You can trust in Dowco to keep your property safe through the cold winter months! Our service area includes Chesterfield, Ballwin, Clarkson Valley, Wildwood, Manchester and some neighboring counties.